This short length Ocean Polyester E2E cord lends itself perfectly to creating a "hip prusik" on your lanyard. At 90cm it allows for a small short hitch keeping "sitback" to a minimum. Ocean Polyester Eye-to-Eye comes from the proven Ocean Polyester stable, its sheath is made of braided polyester/aramid, its core of high quality polyester fibers. 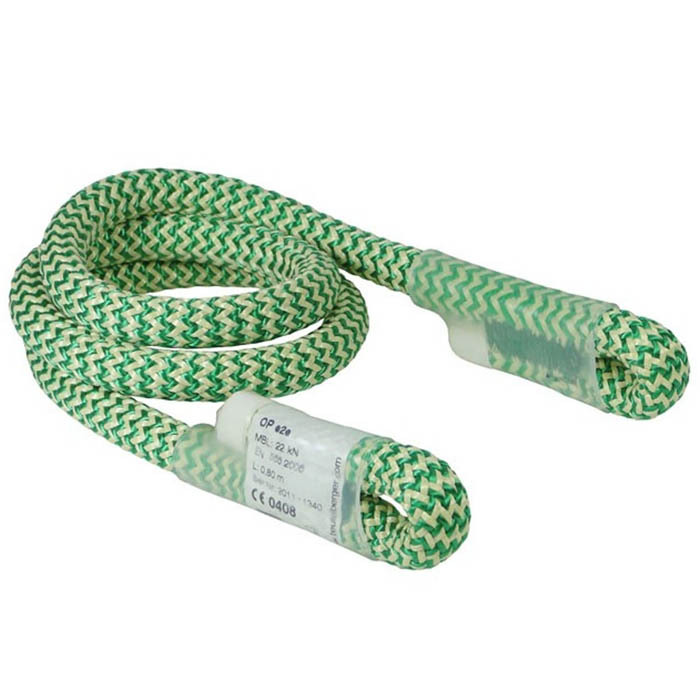 The braided outer sheath combination of polyester/aramid results in a high resistance to heat and abrasion. The stitched eyes have a diameter of 10mm and are designed to grip a karabiner. There is no shorter stitch pattern with an EN certification on the market. These high quality stitched terminations are perfectly matched to the DMM hitchclimber pulley.